Every time I see a movie, I have a particular feeling afterwords, where I take on some of the characters’ attitudes, style, or mannerisms. Depending on how good the movie was, this can last for quite some time. For instance, I watched Billy Madison weeks ago and I still straighten into first position when I feel myself slouching. And though I have neither the time nor money to get into ballet lessons, my heart yearns to sign up for a beginner’s class. The mood of absolute coolness is overpowering in Knockin’ On Heaven’s Door. 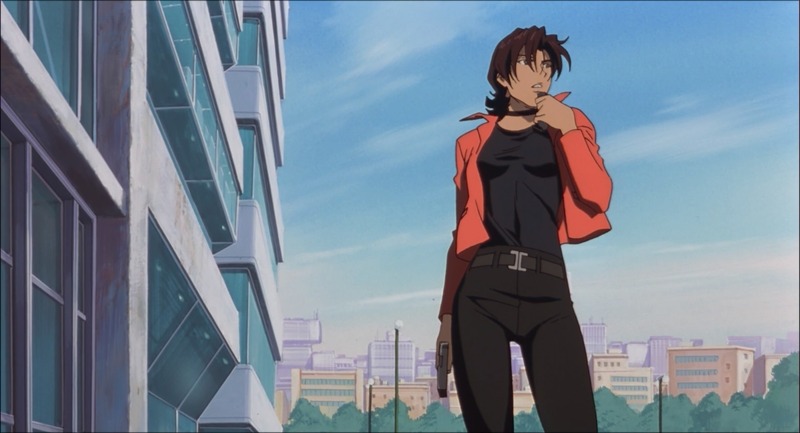 I regret forgetting to wear a shirt with a poppable collar; I felt beyond out of place amongst Spike Spiegel, Electra Ovilo, and Faye Valentine, lightyears behind them, fashion-wise (and name-wise of course). The landscape of the city made me feel small, but the characters walked through it with confidence: they owned the streets, moving in long strides, self-assuredly occupying space. The variety of color schemes was greatly influential in making the movie’s aesthetic unique. 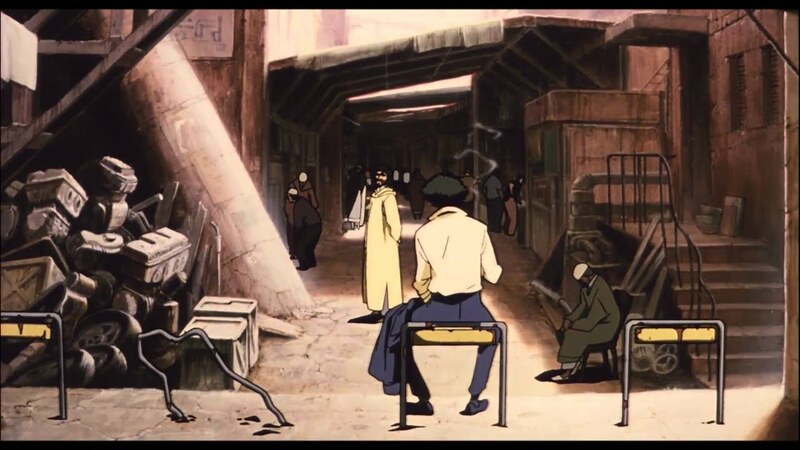 The different settings (Moroccan Street, the bounty hunter crew’s home, the warehouse, downtown, etcetera) were distinct in tone, the characters’ clothing standing out enough within these spaces but also blending in well. The omnipresence of shades of earthy brown is representative of the 1990s and early 2000s, but still allowed for a futuristic feeling. Though many of the colors were muted, they worked well in accentuating the artists’ highly contrasted shading technique. In terms of the movie’s concept, its originality brought new life to what could have easily been a standard, unremarkable action flick. The focus on fight scenes was thankfully minimal (for me at least, there is no greater sleeping pill than any of the Jason Bourne movies), instead there was more emphasis on the nature of the bioterrorism device. They actively developed the idea, including scientific details that fleshed it out more than I expected. It was a bit unrealistic that the researchers attempting to find out more about the biological agent came up with absolutely nothing, while the cowboy gang figured it all out so quickly. It would have been less distractingly odd had the scientists started to gain more understanding. This choice could have made the agent more complex, more terrifying in a more real way. Throughout the movie, I found these places where small occurrences slyly slipped by. In the first hospital scene, a woman lies on a bed, reaching up at nothing, most likely in the process of dying. 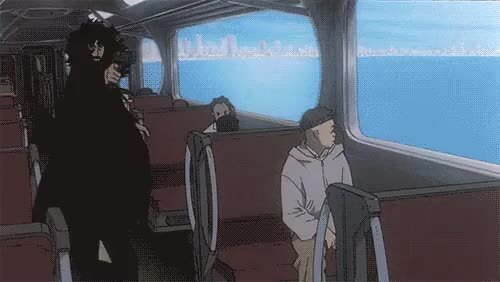 The shootout on the trains traveling over water has a moment where two trains pass each other just so, drawing darkness in and out so smoothly. Also, the soundtrack was great. The music was as widely varied as the settings, and some of the song titles are as out there as the characters’ names. 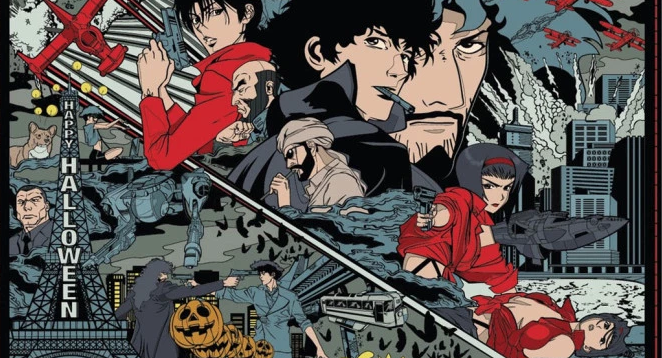 The whole soundtrack is by one music group (Seatbelts) on the album Cowboy Bebop: Knockin’ on Heaven’s Door: O.S.T. Future Blues. This would be the perfect album to listen to while cooking a fancy, complicated dessert, or an enormous bowl of homemade ramen. The U of M Center for Japanese Studies is continuing this film series Wednesdays at 7PM at the Michigan Theater. The next movie is on March 13: Ghost in the Shell (1995). Be sure to mark your calendars!